Breed have been proved on the dirt. MAGNUS (AUS) (Bay 2002-Stud 2008). 4 wins to 1200m, AJC Galaxy H., Gr.1. Sire of 304 rnrs, 209 wnrs, 13 SW, inc. Malaguerra (BTC Cup, Gr.1), Magnifisio, Platinum Kingdom, Magnapal, Prince of Brooklyn, Miss Promiscuity, The Alfonso, The River, Great Shot, Malibu Style, Alpha Beat, Missy Cummings, Prettyhappyaboutit, SP Gredington, Manageress, Whistle Baby, Backstedt, Magnus Reign, Magnarock, Lucky Symbol, Magnus Lad, Pompeius, Powercharged, etc. Arnhem Beauty (f. by Magnus). Winner. See below. TYPHOON RED (Red Dazzler). 10 wins to 1500m, A$235,435, Toowoomba TC Weetwood H., L, BRC Mount Franklin Sparkling H., GCTC Ladies Day H., 2d BRC Garrards H., 3d BRC Brc.com.au H.
Jester Rumble. 5 wins. See above. Forever Gentle. 2 wins at 1100m, 1650m in Aust. My Boy Lucky. Winner at 1200m in Aust. No Clapping. Winner at 1400m in Aust. Shoeshine Henry (Mister C). 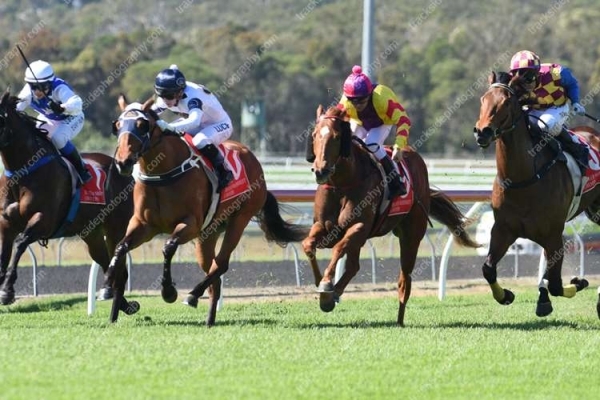 2 wins-1 at 2-at 1200m, 1600m, A$330,240, AJC Yeramba Estates H., STC William Inglis Classic, 2d STC Silver Slipper S., Gr.2, AJC Breeders' P., Gr.3, Bill Lappin H., STC First Class Welter H., 3d VATC Caulfield Guineas, Gr.1, MVRC BMW Vase, Gr.3, Newcastle JC Spring S., L, AJC Empire Link H., Dunkirk H., Dowling H., Monte Carlo H., STC Kowloon H.
Magic in Motion. 6 wins from 1350m to 1600m, A$203,850, BRC Grinders Coffee H., Awesome Foursome Membership H., 8lengths.com H., Gallopers $1 Membership H., 2d BRC Coca-Cola Amatil H., Cyril Gilbert OAM H., Timeform P., Woolworths H., Carlton Draught P., 4th BRC Doomben Roses, Gr.3. Silverene. 2 wins at 1100m, 1400m, BRC Powerade H.
Meadow Lake-Brilliant Boy (Mac.). 5 wins at 1000m, 1050m in Macau, Macau Areia Preta H., 2d AJC Citius H., De Mestre H., STC Forest Lodge H., 3d STC Berling H.
Liberator. 5 wins to 1550m, STC Dale Ford H., Kurrajong Probus H., 2d AJC Oarsome Foursome H., STC Port Hacking 2YO H., Springwood 2YO H., Omo Legacy Foundation H., Forest Lodge H., 3d AJC Hadrian H., STC Kyeemagh H., 3YO H., 4th AJC Gimcrack S., Gr.3. Gracida. 5 wins to 1500m, A$104,376, AJC Sports Star Syndications Welter H., Citius H., STC Blakenhurst H., John MacArthur H., 2d AJC Alan Potter H., 3d STC Global Baguette Welter H., AJC Fairfield City Golf Club Welter H., STC Star of Heaven H., Mix 106.5 FM H., 4th AJC Villiers S., Gr.2. INNINGS (Over). 6 wins to 1400m, A$384,180, STC Winter S., L, Hyland Race Colours H., AJC CMP Lawler Hospitality & Gaming H., Charge Forward H., Hollington H., Randwick Betting Auditorium H., 2d STC Woolworths the Fresh Food People H., AJC Tie the Knot H., Macau Jockey Club Trophy H., Dyonics H., 3d STC Winter Championship S., 4th AJC June S., L.
Nexgen (Genuine). 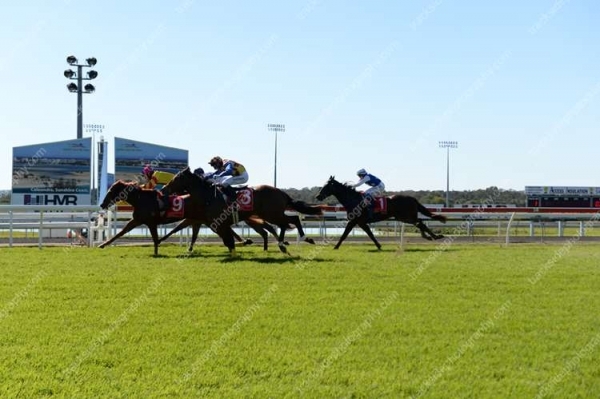 8 wins from 1000m to 1650m, A$268,150, QTC Greenslopes Private Hospital Pharmacy H., Racetree H., BTC Ray White Real Estate H., Southbank Locksmiths P., Tails & Veils H., 2d Qld Tatt's RC Members Cup, L, BTC Logan Chamber of Commerce H., 3d Qld Tatt's RC Members Cup, L, BTC UQ Sport Quality H., Amcor H., QTC Indooroopilly Shopping Centre H.
One Time (Mister C). 6 wins-1 at 2-from 1000m to 1750m, A$106,510, 2d Canberra RC Black Opal S., L.
Race Record: 9 Starts 1-0-2 A$12,900. Winner at 2 in 2015-16 in Aust.